From February 26 to March 6, 2019, IFES in cooperation with the Central Election Commission (CEC) and the joint IFES-CEC Training Center organized 106 regional trainings for more than 3,000 District Election Commission (DEC) members. 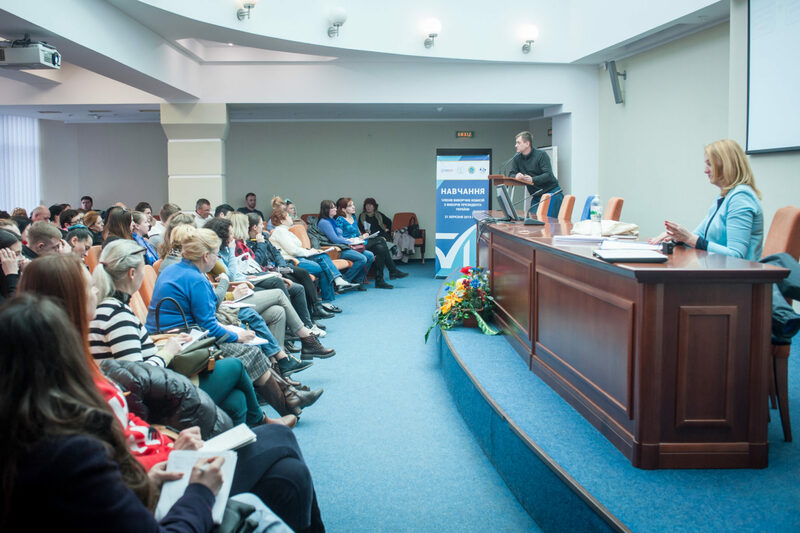 The trainings were facilitated by trainers with extensive experience in electoral issues who underwent a five-day training of trainers (TOT) organized in Kyiv on February 11-15, 2019. The trainings covered election day procedures, including the adjudication of complaints and tabulation of results, as well as some operational aspects of their work in the lead up to election day. All trainings used interactive teaching techniques, such as discussion and group work. 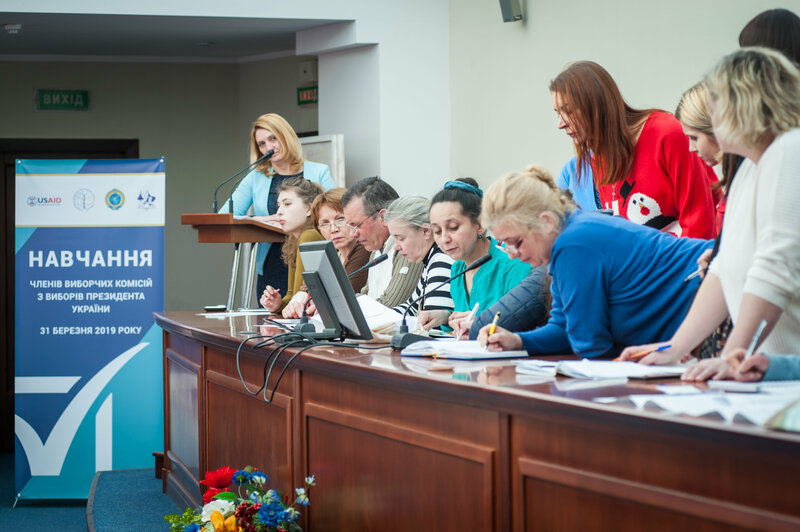 Building on these trainings, the IFES-CEC cascade training initiative for lower-level Election Management Bodies (EMBs) was implemented ahead of the upcoming presidential elections, where 384 trainings were conducted for up to 48,000 Precinct Election Commission (PEC) members between March 16 till March 28, 2019 throughout Ukraine. Given the complexity of electoral legislation for non-professional polling staff, it is vital to train lower-level commissionaires on the legal background, voting procedures and their responsibility within the electoral process in the most comprehensive way. The certified trainers used a vivid, well-structured presentation and a tutorial video providing a step-by-step explanation in a user-friendly format. The video contains several chapters on stages of DEC’s work during the voting day, followed by a Q&A session to provide the participants with clarification on the specific issues raised by the participants. In addition, a mock tabulation game was held as the final part of the training to reinforce the PEC members’ practical skills and knowledge. All EMBs throughout Ukraine received copies of manuals for the DECs and PECs on electoral procedures developed by IFES and the Training Center and approved by the CEC, as well as the tutorial video in DVD format.